Think of the energy of a restaurant kitchen — it’s a beautiful dance of organized chaos and passion. 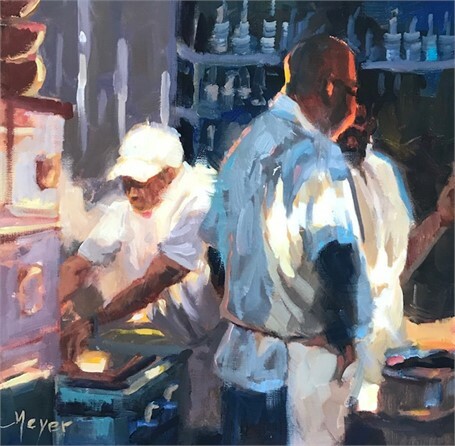 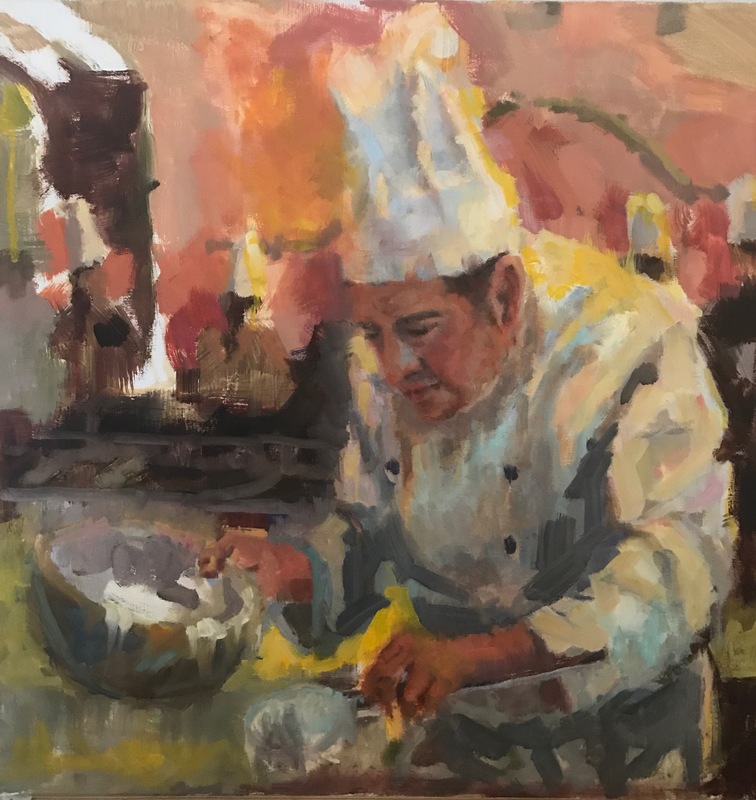 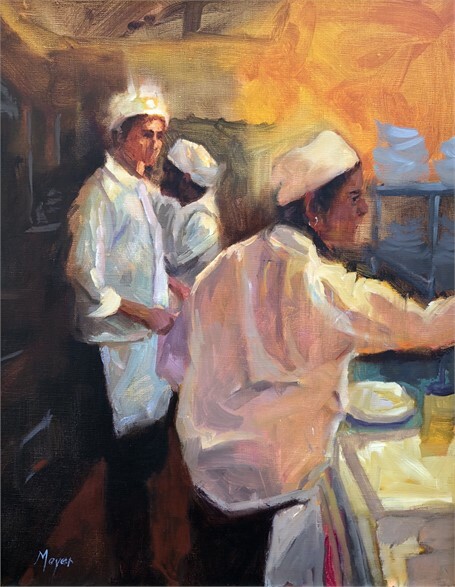 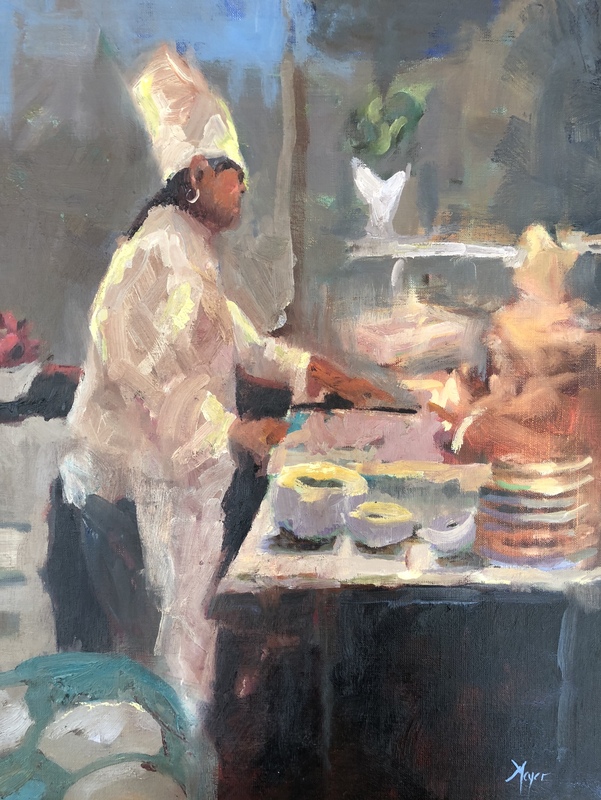 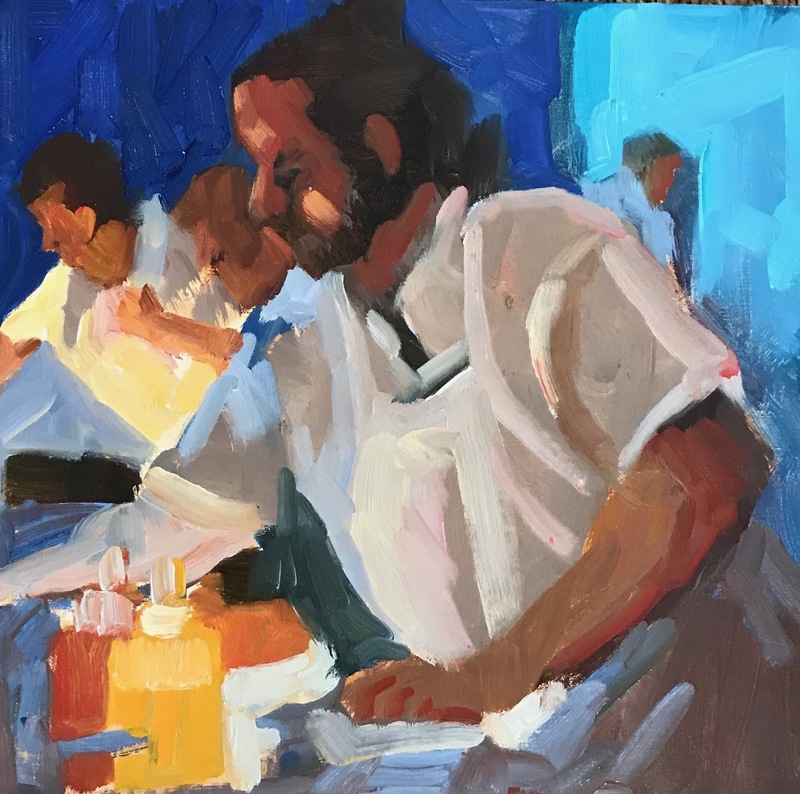 Artist Laurie Meyer is emboldened and excited by that energy, and for her upcoming solo exhibition, she's bringing it to the canvas with a series of kitchen-inspired paintings. 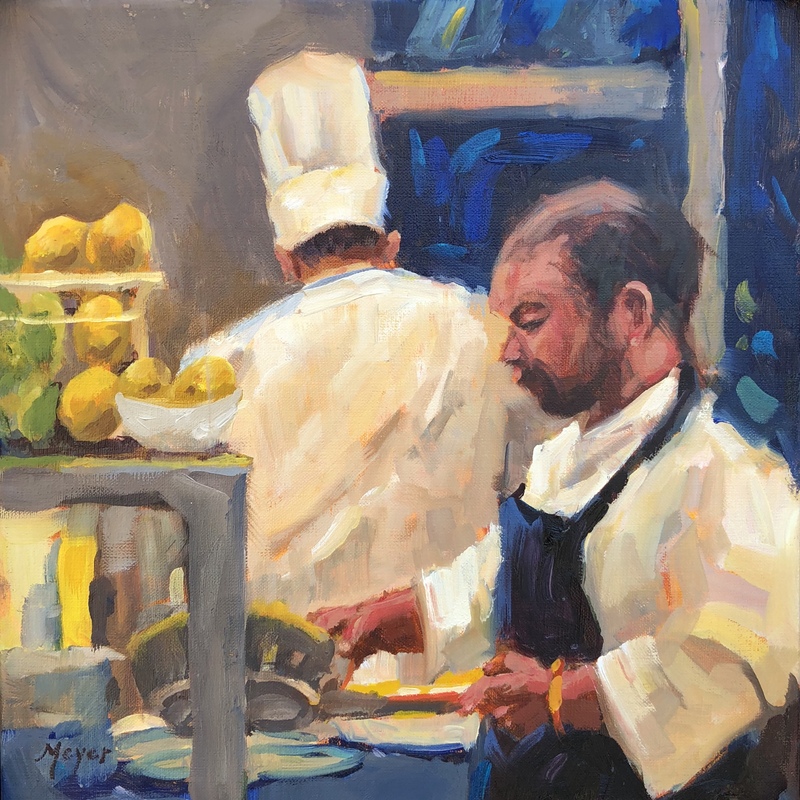 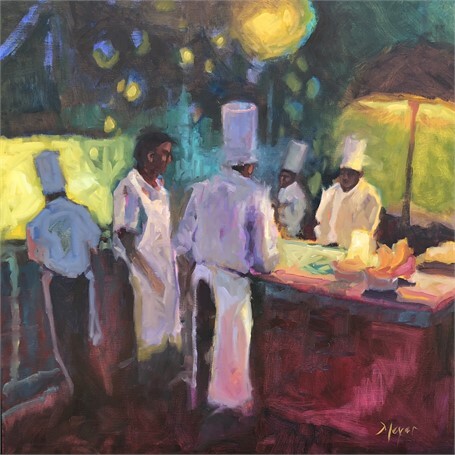 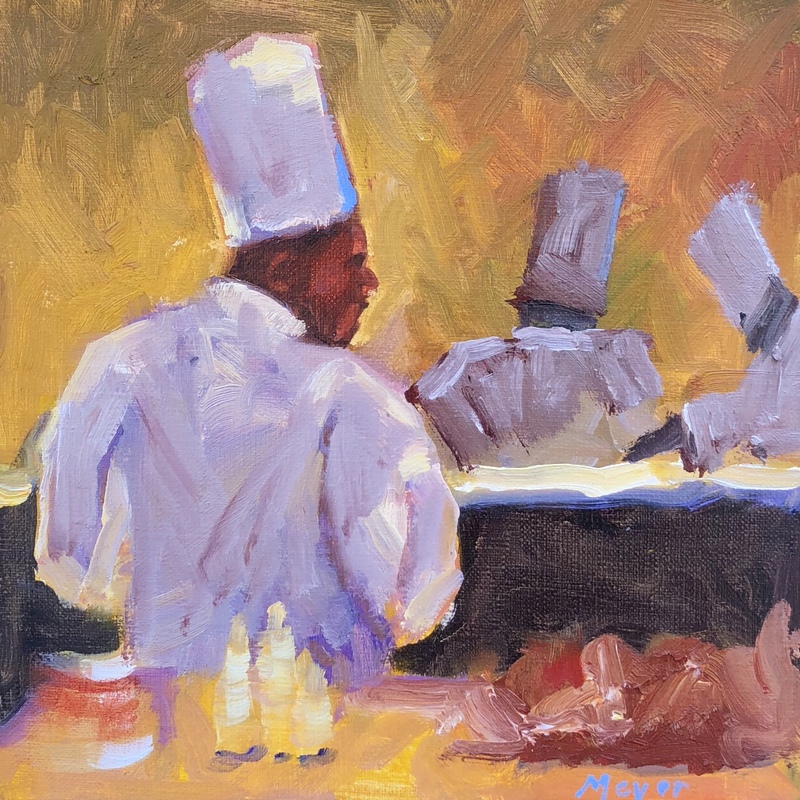 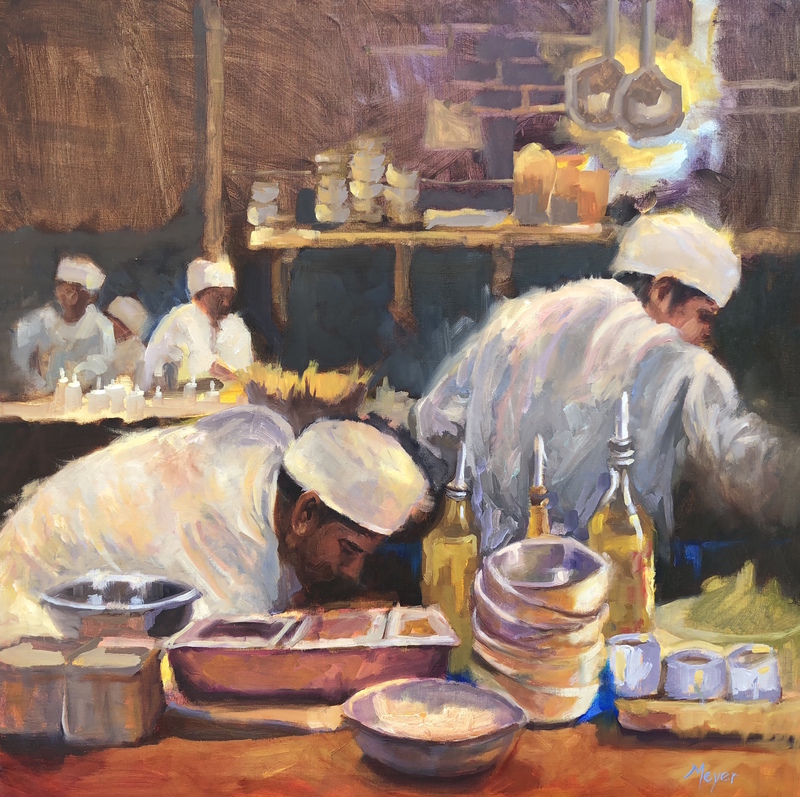 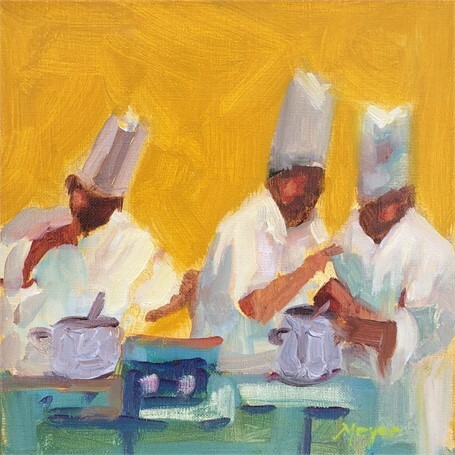 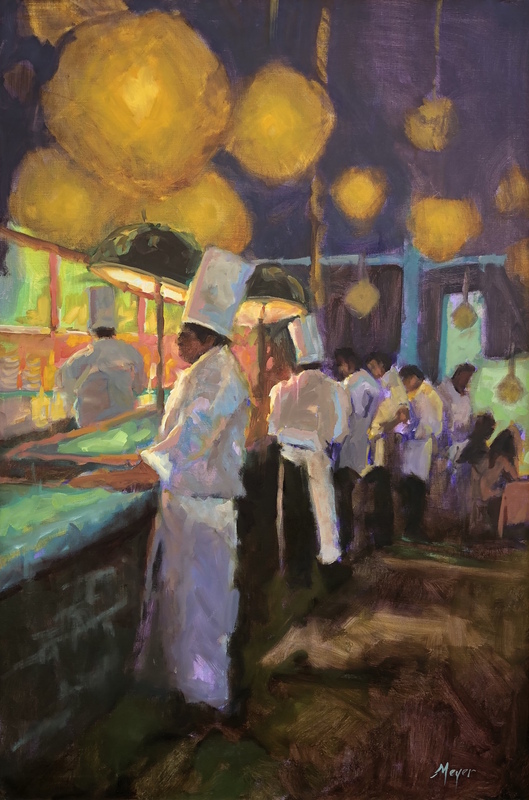 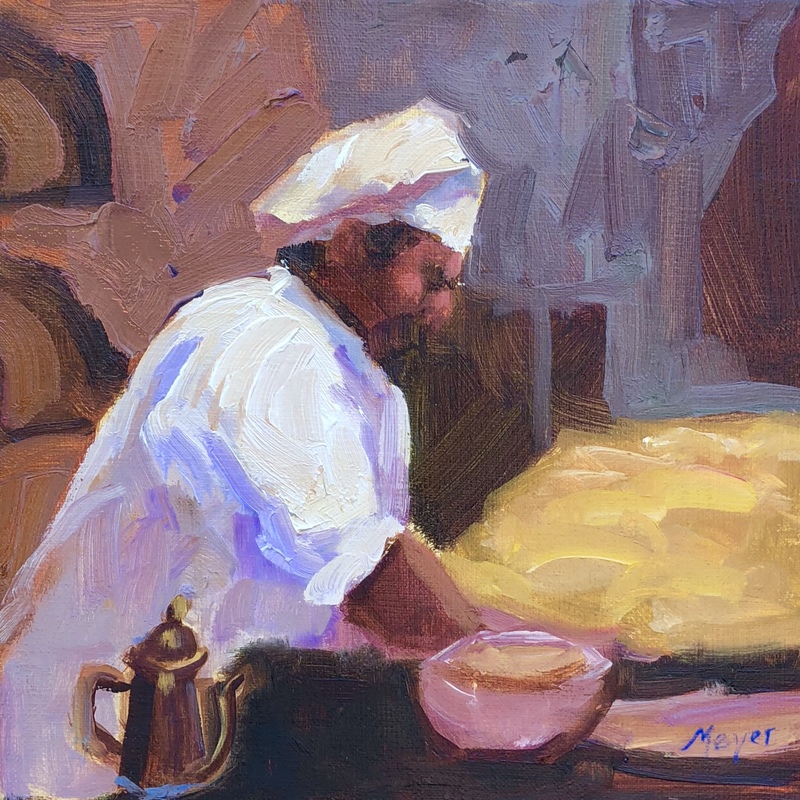 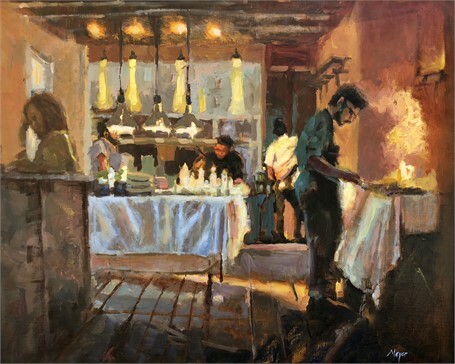 Laurie Meyer | Zero George | oil on linen | 24" X 30"
Laurie Meyer | Carving Station | oil on canvas | 8" X 8"
Laurie Meyer | Chop Chop! 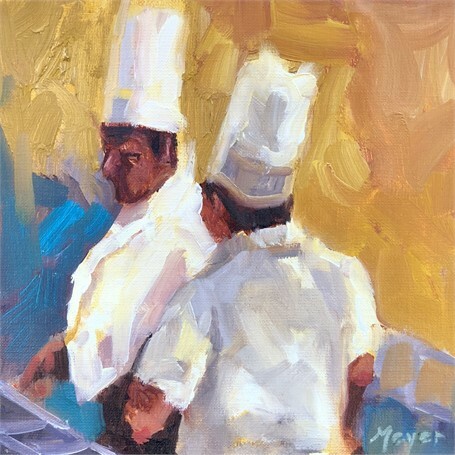 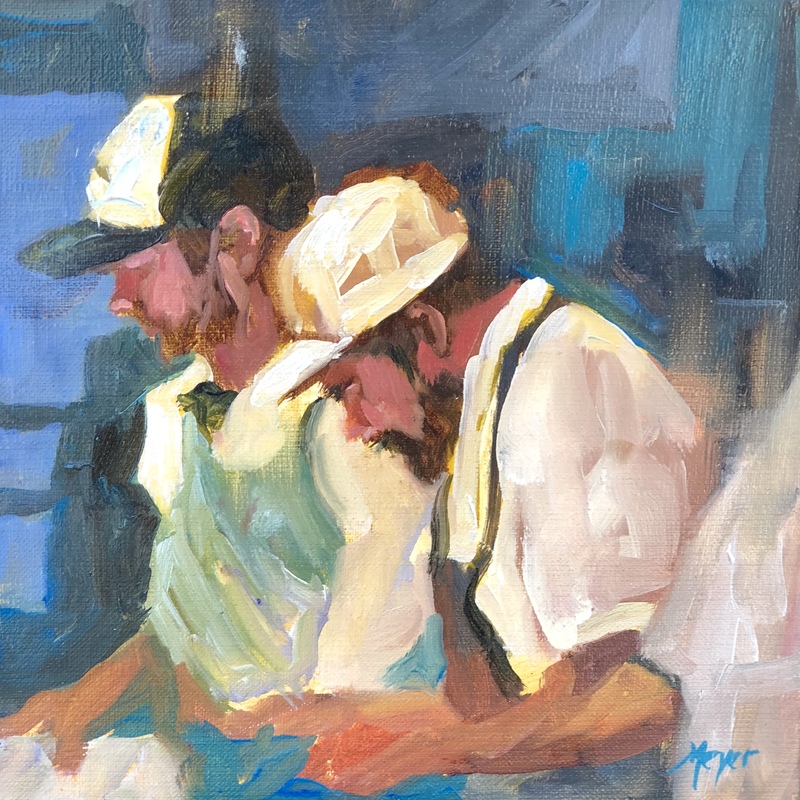 | oil on canvas | 8" X 8"
Laurie Meyer | Gold Plated | oil on canvas | 20" X 16"
Laurie Meyer | Indaco | oil on canvas | 12" X 12"
Laurie Meyer | Limone e Lime | oil on canvas | 12" X 12"
Laurie Meyer | Purlieu | oil on canvas | 8" X 8"
Laurie Meyer | Tea and Cakes | oil on canvas | 8" X 8"
Laurie Meyer | Crunch Time | oil on canvas | 30" X 30"
Laurie Meyer | Solar Power | oil on canvas | 12" X 12"
Laurie Meyer | Stir Crazy | oil on canvas | 8" X 8"
Laurie Meyer | The Pastry Chef | oil on canvas | 20" X 20"
Laurie Meyer | Lunch Pad | oil on linen | 20" X 16"
Laurie Meyer | Upland | oil on linen | 30" X 30"
Laurie Meyer | The Line Up | oil on linen board | 36" X 24"